The magician enters the stage and positions himself in the centre of it. He holds in his hand a scarf that will help him in the opening of the performance. 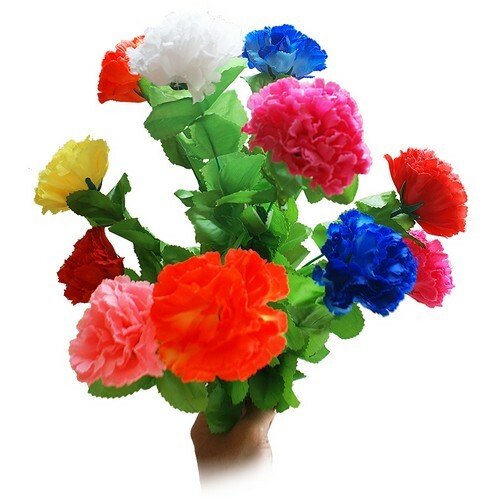 He shows both sides of it, gently touches it and, an instant later, the audience will see a colorful cloth bouquet of flowers appear. The magician can then receive his deserved applauses. The silk used in the video is regular and not supplied. • Easy to do. • The bouquet is made up of 12 blooms and is cm 38 long (14,9 inches).